Optima produces, by far, hands down, the BEST battery I've ever used. My dad bought a couple of the Optima "red top" batteries in the mid-1980's - late 1985, early 1986. One of them is still in use today. Its been through a dozen cars, trucks, tractors and boats and keeps on going! The other got a hero's burial just a couple years ago. The life span of these batteries borders on the phenomenal. Originally I bought my first Optima battery for my '68 Firebird. That vehicle eats wet cell batteries for lunch. And breakfast. And supper. And brunch, and before bed snacks, and.... Well, you get the idea. 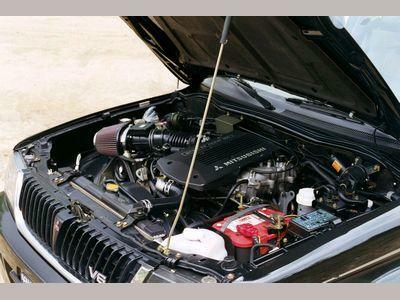 Cranking a high compression (10.5+ to 1) engine in sub-freezing temperatures places a lot of strain on a battery. Additionally, with the extremely stiff suspension (and our pathetic roads), the harsh vibrations and shocks eventually knock the plates inside loose allowing the battery to short out internally. 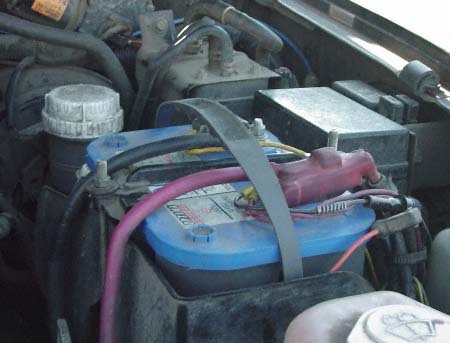 Wet cell batteries have about a 1 to 1 1/2 year life span in that vehicle. At $65+ a battery supplying that car with "snacks" was getting a bit expensive. Having, by this time (late 1992), seen how well my dad's Optimas were doing I decided to bite the bullet and spend the $120.00 for an Optima "red top". I have NEVER regretted that decision! That "red top" lasted for almost five years and several hundred thousand miles in my 'Bird. No wet cell battery had every come close! In January of 1997 I purchased my Montero Sport and stopped driving my 'Bird. Less then six months after I purchased my Sport the factory "wet cell" battery kicked the bucket. Diagnosis - two plates inside had come loose. Immediately, without a second thought, I pulled the Optima out of my 'Bird and replaced the dying factory "wet cell" battery. So, after properly disposing of the original factory battery with a gesture and a little curse, I was back on the road. I ran my trusty old Optima for two more years until its untimely demise at my own hands. Never leave the dome light on in your vehicle if you're not going to be around for two and a half weeks. Nothing could revive it. It was SO discharged it was beyond the best attempts at recharging. Sigh. So, it was off to the shop for a replacement. By this time, however, I'd installed 100 watt head lights, 110 watt IPF overhead lights, was starting to consider a winch and had added a Bazooka 10" powered sub-woofer. I'd decided there was little appeal in getting stranded in the middle of nowhere because my battery was dead. A bigger battery was in order. No, not really bigger, but one that could handle a discharge for a long period of time and still have juice left to start the engine. Also, I didn't want to have to worry about discharging the battery and not being able to charge it up again. Dry cell batteries are unlike their wet cell cousins. While you may be able to discharge a wet cell battery and recharge it several times, usually once a dry cell battery is completely discharged it is dead. They can not be recharged. There is an exception to this. Deep cycle batteries are designed to be discharged completely - or dang close - repeatedly and then recharged. The problem with deep cycle batteries, though, is they are not designed to start vehicles and damage can result to the battery if they're used as "starting batteries". So, that was a problem. A little research, however, revealed that Optima makes a "blue top" deep cycle "starting" battery! Perfect! Picked it up, installed it and off we went. There are four "features" that set the Optimas apart from wet cell batteries. 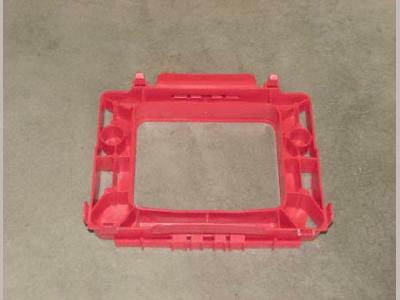 The first is the vibration resistance. Off road use subjects every part of our vehicles to extreme shock and vibration; those are two things that destroy wet cell batteries in short order. The second is the ability to run the Optima battery in any position over no matter how harsh of terrain without having acid sloshing (running) out. 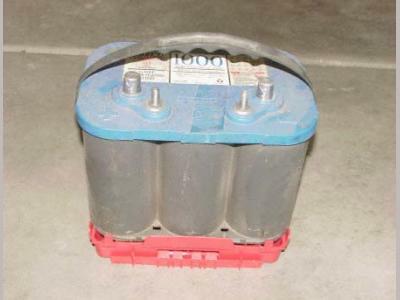 The Optima battery is a completely sealed unit and can be run upside down if so desired. Not only is this a safety feature but it prolongs the life of the battery. When the internal plates of a wet cell battery are exposed to air they oxidize eventually destroying the ability of the battery to store electricity. Recently (Aug 2003) I stumbled across a stack of spacers that came with a distributor's shipment of Optima batteries. 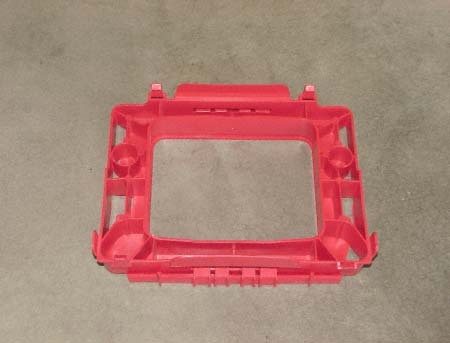 I've never seen these at any other distributor before but I was told that Optima supplies them. The spacer clips to the bottom of the battery and adds about an inch and a half to the height (see picture above). Which is plenty for the Montero Sport. 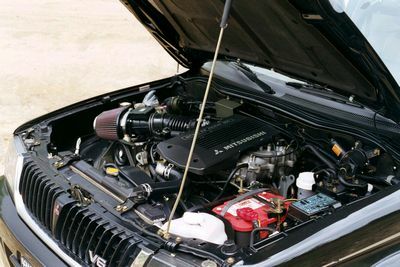 One of the above pictures shows an installed Optima 'blue top' with the attached spacer fully installed in a 1997 Montero Sport using the factory hold down clamp. With the added spacer the fit is perfect. Otherwise, this is a stellar product!